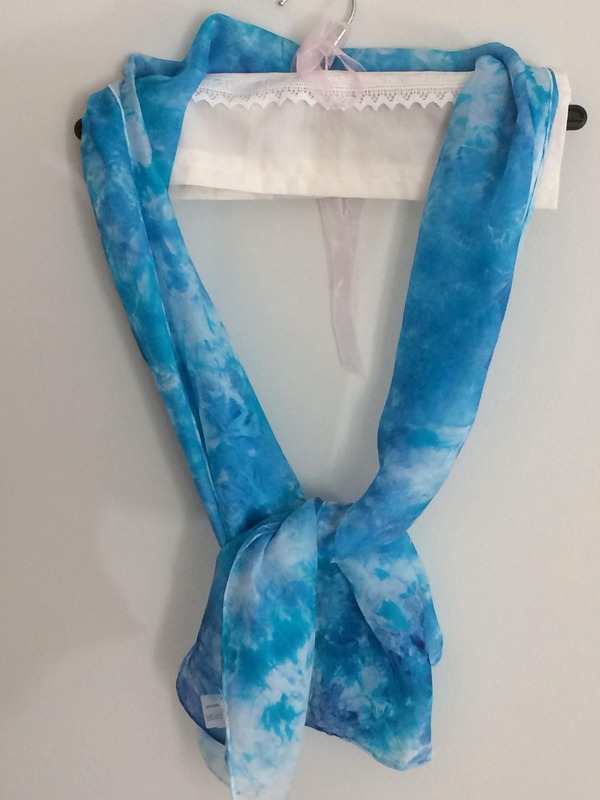 Turquoise blues silk scarf hand dyed. Turquoise blues suit most complexions. 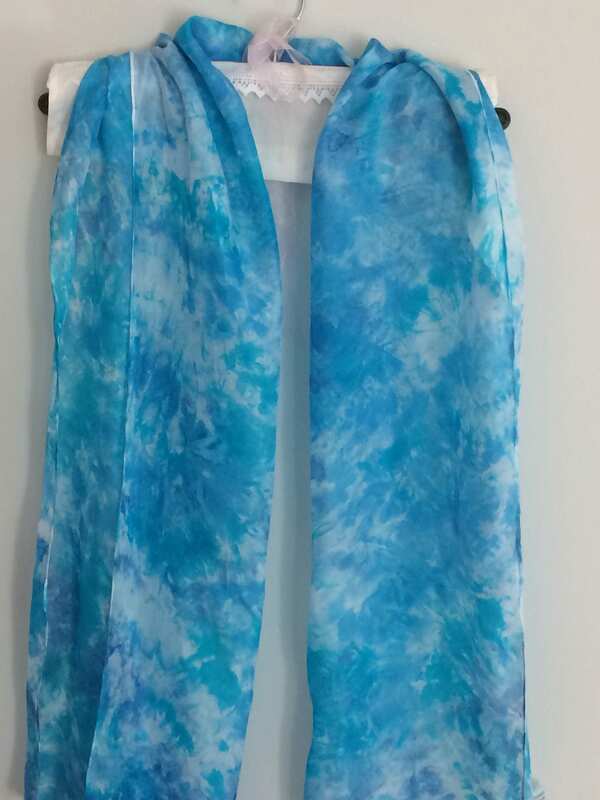 This scarf will make your eyes sparkle. 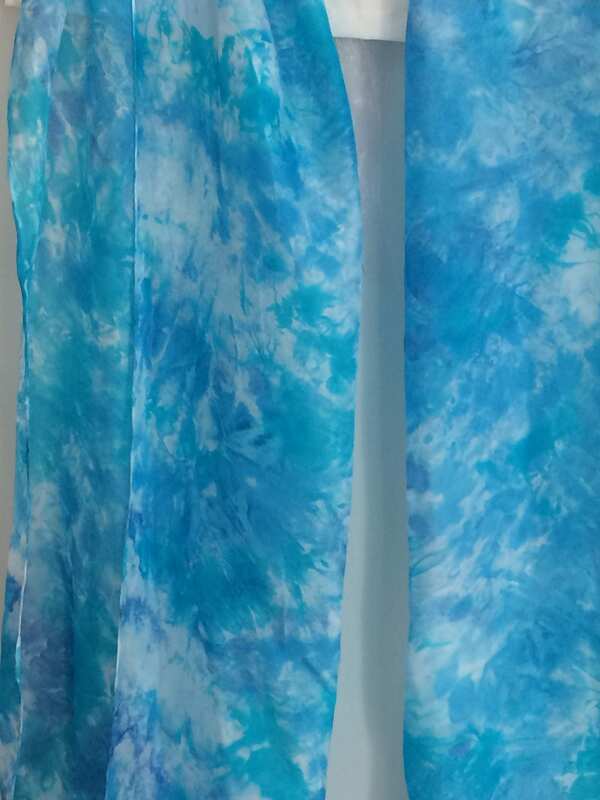 It is made from silk Ponge and is very lightweight, adding warmth without weight. It measures 150x 40 cms so is long enough to knot in different ways. This would be a perfect addition to any capsule wardrobe.